PSC Police Constable Shortlist 2019 – IDK, PTA (Armed Police), Idukki police constable list, Pathanamthitta police constable shortlist, civil police officer shortlist 657/2017, police constable result (Armed Police), Kerala psc police constable APB list 657/2017, psc short list, PSC short list of Armed police constable, PSC police constable short list Pathanamthitta (KAP III) and Idukki (KAP V), Armed police (APB) short list 2019. Kerala psc has published the civil police officer / Police constable shortlist 2019 for Pathanamthitta and Idukki. The Kerala public service commission conducted the Civil police officer / constable exam (Category 657/2017) on 22.7.2018. Pathanamthtta exam cut off marks is 39.67 marks. Armed Police constablle exam Idukki cut of mark is 30.67 marks. 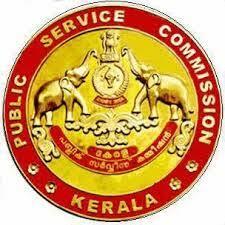 PSC police constable exam result will be download from the below links. Kerala public service commission has released the Police Constable Shortlist 2019 on their official web site. The candidates who have written the Kerala police constable (APB) exam can check their PSC result from the web site online.